THOR Kitchen—manufacturer of pro-style kitchen appliances—launches a series of new, pro-style Induction Cooktops at one-third the cost of other premium brands, offering the most affordable pro-style induction cooktops in the industry. Induction is inherently more energy-efficient and features faster heat-up times compared to gas or electric cooktops, and THOR’s Induction Cooktops feature digital timers, a hot-surface indicator light for safety purposes, and digital blue LED displays for a sleek yet practical design. THOR’s Induction Cooktops are available in two different series, the Household Series and Elite Series, both in 30- and 36-inch models with four and five burners respectively. The Household Series features a sleek black glass cooktop, while the Elite Series features clear glass with a gray undertone and has a higher power output. Powered by electromagnetic fields below the glass cooktop with the current transferred directly, the cooktop instantly heats the magnetic cookware. The direct transfer of heat does not heat up kitchens like a traditional gas or electric stove and boasts energy-efficiency as an additional feature to the appliance. This feature also provides an added safety benefit since heat is not directly generated on the cooktop. Additional features include a hot surface indicator light, digital timer, easy-to-read digital LED display and easy-to-clean glass cooktops. For more information about the new Induction Cooktops and other THOR products, please visit https://thorkitchen.com. THOR Kitchen is a manufacturer of mass-premium pro-style kitchen appliances, offering the first full suite of the most affordable pro-style kitchen appliances on the market today. Based in Southern California, THOR provides all of the power and performance of a premium appliance, built to the highest standards of quality, style and energy efficiency—yet at a practical price. For more information about THOR Kitchen and its full suite of affordable pro-style kitchen appliances, visit https://thorkitchen.com. 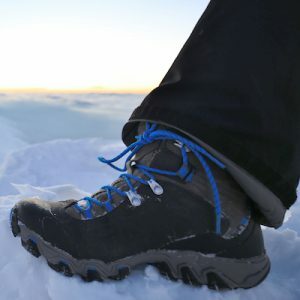 With more than 150 retail stores covering 35+ states, this national sporting goods company sells sporting gear, camping gear, travel equipment, name brand and private label clothing, and almost everything needed for recreational outdoors activities. With Vanguard Predictive Planning, the company plans to forecast needed materials and manufacturing capacity for seasons to come. With more than 200 users from their material and manufacturing vendors in Vanguard Predictive Planning, the “supplier portal” is vital for planning and collaborating with vendors. “This is yet another example of an industry leading client selecting Vanguard for their mission critical supply chain needs,” said Neal Goffman, Chief Sales and Marketing Officer at Vanguard Software. With plans to expand into other parts of the business, Vanguard Predictive Planning is their chosen solution to support future growth. Learn more about what Vanguard can do for your business by requesting a demo. Christenings, baptisms, and baby blessings are one of the most important steps a child takes in its infancy. This significant step is a time when a child gets its name and when Godparents are chosen. Most importantly this event is an outward expression of the commitment being made to raise your child in the knowledge and practices of your Christian faith. Girls White Silk Dupioni Christening-Baptism Gown with Hand Embroidery: This beautiful silk dress has hand embroidery on the bodice and skirt. It’s a 33” length gown made with silk dupioni. This gown is available in sizes ranging from - 3 months (0-3 months); 6 months (3-6 months); and 12 months (6-12 months). 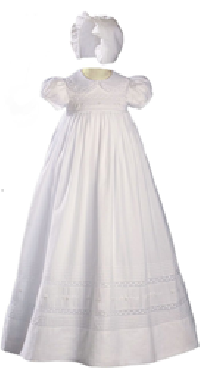 Girls Cotton Christening Gown with Italian Lace: This gown is handmade with 100% cotton with intricate Venice/Italian lace on the bodice and hem. It’s a 26” length gown that is available in the following sizes - Newborn (birth-7lbs); 3 months (0-3 months); 6 months (3-6 months); 12 months (6-12 months); 18 months (12-18 months); and 24 months (18-24 months). Girls White Cotton Short Sleeve Christening-Baptism Gown with Hand Embroidery: This 100% cotton baptism dress is 33” in length. It features hand embroidery, pin tucking, and lace on the collar, bodice, and hemline. It also comes with a matching bonnet. We offer this dress in the following sizes - 3 months (0-3 months); 6 months (3-6 months); 12 months (6-12 months); 18 months (12-18 months); and 24 months (18-24 months). Boys Cotton Smocked Baptism White Romper: This boy’s outfit is made with 100% cotton that is a romper style outfit with pin tucking. It also comes with a matching hat. We offer this in the following sizes - 3 months (0-3 months) 6 months (3-6 months); and 12 months (6-12 months). Children’s Formal Attire is a family run online e-commerce store that specializes in high quality formal wear for children. Looking for that perfect gift for a collector friend? 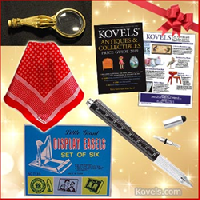 The elves at Kovels.com suggest a “go-with.” You don’t have to understand much about their collection of mechanical banks, paperweights, or prized toys. Here are some ideas for accessories to make their hunt a little easier, each under . 1. A streamlined gadget with multiple uses would be a handy go-with for a collector. An all-in-one tool is a pen and includes five handy accessories – a screwdriver, ruler, bubble level, a stylus tip for making notes on smart devices and a ballpoint end with a clip for making notes on paper. It sells for in an online catalog. Good for a purse or car’s glove box because you never know when or where that next find will pop up that requires notes or more investigation. 2. A small magnifying-glass will delight a collector who searches for marks or repairs on silver, pottery or furniture. Many maker’s marks are very small and often impossible to read in a dark corner. Look for a pendant magnifying glass worn on a chain, or a larger glass with an interesting handle for use at home. Magnifying glasses have sold at auctions from to ; others are for sale in online shops. Many are reasonable enough to buy a pretty one for yourself too. 3. A scarf. Make it red or another bright color (and vintage, of course) so your friend or loved one can be easily found at a show or flea market. A red and white silk scarf that will stand out in a crowd is a vintage red and white Daniel la Foret Paris example that sells for online. 4. Display stands. Encourage a collector friend to take her beautiful antique and vintage dishes out of their boxes and put them on display with small easels. They are clear, unobtrusive, available in different sizes, and are perfect for displaying pocket watches, butter pats and belt buckles as well as heirloom salad plates. A larger size is available for dinner plates. Sets are available online for to . Look for heavier Asian carved wood stands for bowls or plants in an assortment of sizes at big box stores. Don’t ruin good books by stacking them to hold plants. 5. Help a collector learn more about their collectible, with news, tips and sources as well as what's selling for what by giving a subscription to Kovels on Antiques and Collectibles newsletter. Top off your list with the best price book for collectors, Kovels’ Antiques & Collectibles Price Guide 2019. It’s available online, in bookstores, and in the Kovels.com store. With 16,000 prices of antiques and collectibles arranged in more than 700 collecting categories from Advertising, Bottle and Clock to Toy, Vaseline Glass and Weather Vane, descriptive paragraphs that includes factory histories, locations and production dates, 2,500 color photographs, and lots of logos and marks, Kovels’ is a reference guide for the collector, a textbook for want-to-be collector, and entertainment to be enjoyed by anyone who appreciates the treasures of the past. Terry Kovel is one of America’s foremost authorities on antiques and collectibles. She is the well-known columnist and author of more than 100 books on antiques and collecting. The 2019 edition of Kovels’ Antiques & Collectibles Price Guide is available at Kovels.com and local bookstores. This all-new 51st edition of Kovels’ popular annual price guide features 16,000 prices and more than 2,500 photos, larger than ever before, on items in categories most sought-after by collectors. New this edition – 300 marks to help identify and date pottery, porcelain, glass and other collectibles. Terry Kovel will discuss antiques and collectibles topics with accredited media. Photographs are available. 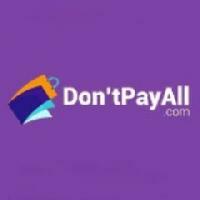 Contact pr(at)kovels(dot)com. April Parker is pleased to announce the official launch of the Perfect Flats, now available on AprilParker.com. Designed as a stylish inspirational life-style shoe brand, April Parker provides comfort, versatility and style by creating everyday footwear and accessories to inspire and empower everyday women. The collection features a growing array of colors and interchangeable magnetic emblems. Sold with a beautiful coordinating leather clutch; each design perfectly matches the shoes. The clutch can not only be used to store shoes, but also features stylish and functionality for everyday use. The inspiration behind April Parker came after creator April Parker was on her way to a business meeting when one of her high heel shoes snapped. Embarrassed by the loud noise from her broken shoe as she walked into her meeting, Parker decided there had to be a way to avoid this happening again. “The Perfect Flats are for moms, educators, nurses, executives and every woman who works hard in and out of the home,” says co-founder Chad Curtis. For more information and to order the Perfect Flats, please visit AprilParker.com. April Parker is a brand of ColorBand Shoes, founded by partners April Parker and Chad Curtis. Both are military veterans who decided to combine their passion for footwear with their mutual entrepreneurial spirits. Their goal is to encourage women to be beautiful and powerful in the workplace and beyond - while wearing, “The Perfect Flats”. 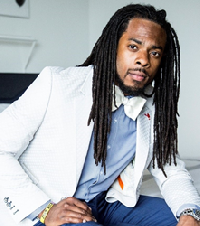 Lucyd Pte Ltd, the developer of an eShop for innovative spectacles, announces the signing of Richard Sherman, cornerback of the San Francisco 49ers, as Chief Brand Officer. Mr. Sherman will bring a large fan following and international recognition to the Lucyd brand. In his role as Chief Brand Officer, Richard will not only be an ambassador for Lucyd, but will also guide design and development of a new athletically-inspired line of performance eyewear. Mr. Sherman is a highly respected athlete. Since entering the league, Richard leads the NFL with 32 interceptions and has 99 pass break-ups. Considered one of the best cornerbacks in the league, Richard has been named to four Pro Bowl rosters and four All-Pro teams in his seven seasons in the NFL. On March 9th, 2018, Richard was released by the Seattle Seahawks. One day later, Richard agreed to a three-year, million contract deal with the San Francisco 49ers. Richard is not only dedicated to his team and perfecting his craft, he also works hard off the field to raise his two children and give back to his community through his foundation, Blanket Coverage. He was taught the power of education and hard work from his parents, and wants to teach younger children they can accomplish anything when they work hard and have dedication. He aspires to make a positive impact on and off the field and be an example to youth everywhere. This press release is for informational purposes only. The information herein does not constitute investment advice nor an offer to invest and may contain statements related to our future business and financial performance and future events or developments involving Lucyd that may constitute forward-looking statements. These statements may be identified by words such as "expect," "look forward to," "anticipate" "intend," "plan," "believe," "seek," "estimate," "will," "project" or words of similar meaning. We may also make forward-looking statements in other reports, in presentations, in material delivered to customers, stakeholders and in press releases. In addition, our representatives may from time to time make oral forward-looking statements. Such statements may be based on the current expectations and certain assumptions of Lucyd’s management. Please note that these are subject to a number of risks, uncertainties and factors, including, but not limited to those described in various disclosures. Should one or more of these risks or uncertainties materialize, or should underlying expectations not occur or assumptions prove incorrect, actual results, performance or achievements of Lucyd may vary materially from those described explicitly or implicitly in the relevant forward-looking statement. Lucyd neither intends nor assumes any obligation, to update or revise these forward-looking statements in light of developments, which may differ from those anticipated.